While at the annual Allen and Co media conference in Sun Valley, Idaho, Google Executive Chairman Eric Schmidt said the company's relationship with Apple is "improving" and that the two companies have been conducting "lots and lots" of meetings, reports Reuters. Schmidt did say that the companies are in "constant business discussions on a long list of issues." Last December, the former Google CEO said that the two companies had an "on and off" relationship and that they would work through any issues in "the adult way." Apple and Google's relationship has been strained in recent years, with constant patent disputes between Apple and Google's Android parters as well as the removal of both Google Maps and YouTube from iOS. The two companies also have taken their rivalry to apps as Google has Safari competitor Chrome in the App Store and has most recently updated its Google Search app with Siri competitor Google Now. 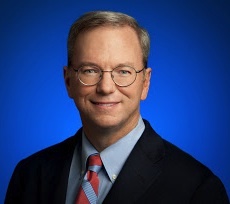 Schmidt had served as an Apple board member while also holding the position of Google CEO, but as the two companies became increasingly direct competitors following Google's launches of Android and Chrome OS, Schmidt stepped down from Apple's board in August 2009. While this is good news, I really don't think Schmidt is a good person to be involved in anything. Sad to say, but the guy was an *******. Well... this means Steve Jobs was the one who was in war with Google not Apple. So, soon we are going to see a merge between both operative systems... wait... doesn't iOS7 looks like an android phone right now? This news is going to disappoint blood craving fans on both sides. Much as I believe Steve Jobs was kind of nuts, Eric Schmidt should have resigned from the Apple board as soon as Google started serious development of a phone OS. It was unethical to continue, and perfectly predictable that it would trigger Steve's bipolar syndrome.